Customer Reviews	Overall rating:	4.8	out of 5 based on 70	reviews. 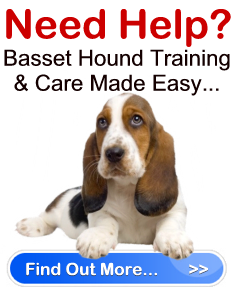 If you would like help with your Basset Hound click here to find out more! - Robert Mendoza, Johnston Rhode Island U.S.A.
Now my basset actually listens to me! - Donald Shore, Las Vegas	Nv. U.S.A.
- Richard Warren, Stewardson Illinois	U.S.A.